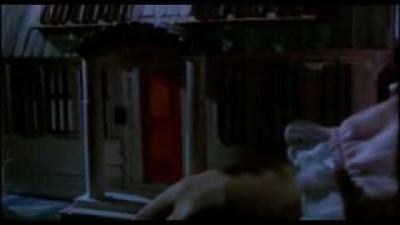 Robert Englund‘s performance as Freddy Krueger in A Nightmare on Elm Street 3: Dream Warriors (1987) was one of the best in the series, and this film really went to town on the Freddy Krueger lore and creative kills. 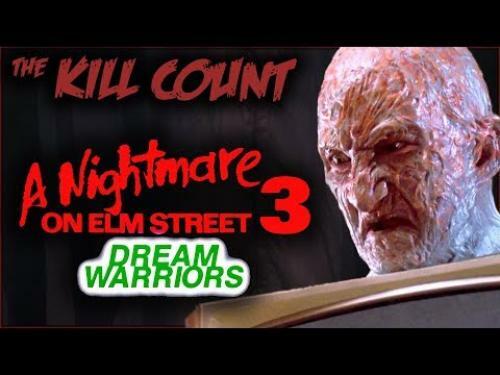 This video features each A Nightmare on Elm Street 3: Dream Warriors (1987) movie kill with the final total revealed at the end of the video. Can you guess how many? Thanks to DeadMeat for creating and posting this video. Official Synopsis: Picking up where the original Nightmare left off, Nancy has grown up and become a psychiatrist specializing in dream therapy. She meets a group of children at a local hospital facing Freddy Krueger, the same demon she once encountered in her sleep. One of them is Kristen, who has the power to draw other people into her dreams. Working with a male doctor assigned to the case, Nancy helps the kids realize their special abilities within the nightmare world. When Freddy captures one of her charges, she leads a rescue attempt into Krueger's domain, in hopes of putting his spirit to rest once and for all.